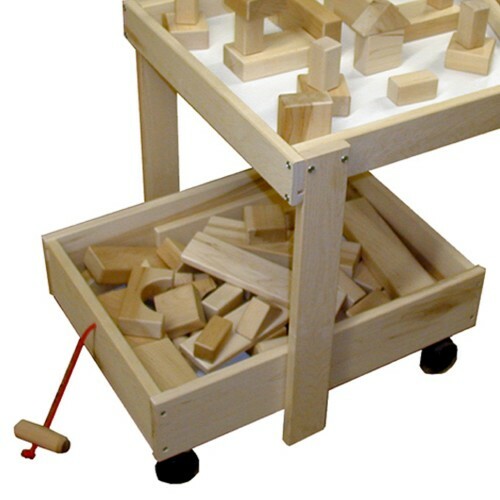 * Store blocks (and other toys) in our over-sized Storage Cart This cart features Natural Hard Maple sides and ends with a sturdy 1/8" thick tempered hardboard bottom. * Heavy duty swivel caster handle heavy loads and a handy pull cord makes it easy to move around. * Dimensions are 17-1/2"W x 23-3/4"L x 5"H (7-1/2"H including casters). Adult Assembly Required. 23.75" x 17.5" x 5"